The latest Creed 2 promo video puts Viktor Drago at center stage. With the release date just a few weeks away, the studio is making the final promotional push, which has given us some pretty awesome insight into the sequel. The last promo video shared what’s at stake for the main characters, and the newest promo puts all of the focus on the brutal strength of the mysterious Viktor Drago. He is shown training, and then delivering an intense punch to Adonis Creed’s face in the ring. Florian Munteanu portrays Viktor Drago in Creed 2, and it appears that he may have the upper hand in the boxing ring. One thing is abundantly clear, which is that Michael B. Jordan’s Adonis Creed is not going to have an easy time trying to take Drago down. After watching the latest brief promo, it looks downright impossible that Creed will be able to defeat Drago. Whatever the case may be, we’re going to be in for some intense fight scenes when the sequel hits theaters in a few weeks. Sylvester Stallone has been promoting Creed 2 on social media over the past few weeks, posting photos from the set and teasing matchups. The actor’s social media account is dominated with pictures promoting the sequel, proving how excited Stallone is to share the movie with fans. And the promotion appears to be paying off. Initial box office tracking has the sequel tracking even higher than the first installment, which is pretty good considering that it’s going toe-to-toe with Disney’s Wreck-It Ralph 2. It’s looking like Creed 2 will open at around the $50 million mark, $10 million more than the original. 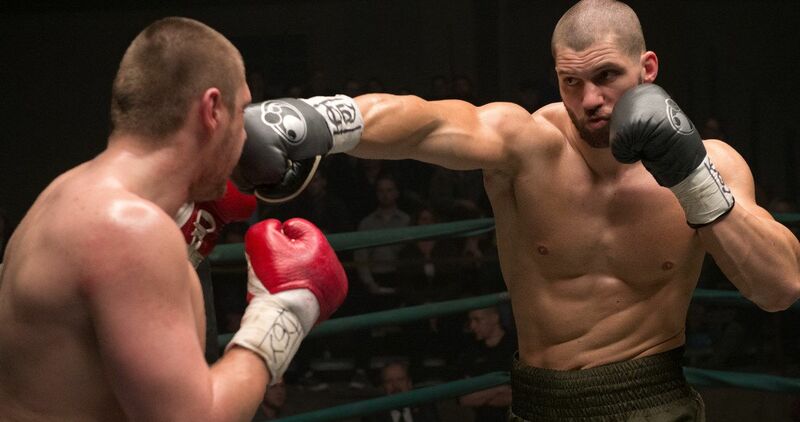 Dolph Lundgren and Sylvester Stallone are taking the backseat for Creed 2, and letting Michael B. Jordan and Florian “Big Nasty” Munteanu do all of the heavy lifting. With that being said, Rocky fans are looking forward to seeing Drago and Balboa meet up for the first time since 1985’s Rocky 4. Drago blames Balboa for ruining his life after knocking him out, and he has a personal score to settle. We might even get to see the characters in a fight of their own. Creed 2 opens in theaters on November 22nd. Everything has been ramped up this time around, and the sequel promises to be the fight of the century. While that sounds a bit like an overstatement, the latest trailers and promo videos suggest that we really haven’t seen anything yet. We’re going to be treated to two tales of revenge, filtered in through the past. And while Ryan Coogler wasn’t in the director’s chair for Creed 2, it’s looking like Steven Caple Jr. has made a worthy addition to the ongoing Rocky franchise. You can check out the new Viktor Drago promo video below, provided by the MGM YouTube channel.